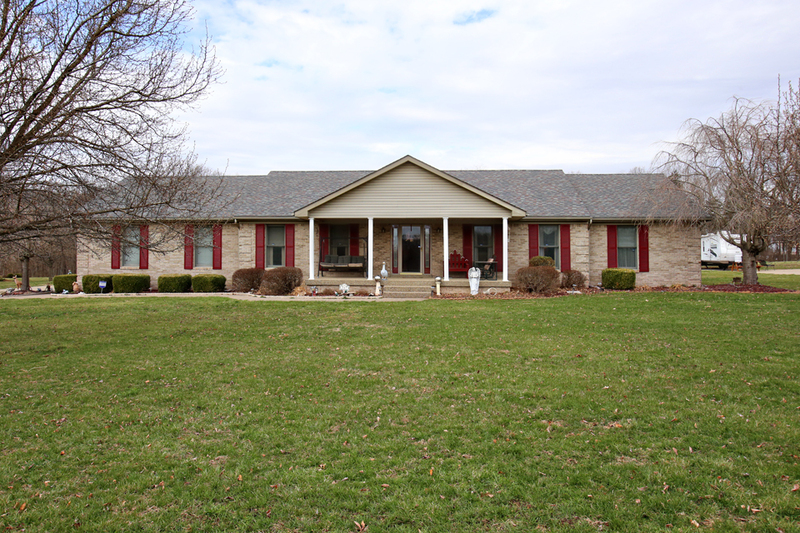 367 Falcon Crest is a great home in Mt Washington where you can enjoy your own little piece of country. This well maintained home is in move-in ready condition and offers you the peace and quiet of the countryside you desire, while still being convenient to Greater Louisville. Mockingbird Estates is a subdivision on the outskirts of Mt Washington with lot sizes of an acre or more. This home is no longer on the market. Contact the Hollinden Team about this home’s history and other houses in the area. The beautiful landscaped yard can be admired from covered front porch as you relax and watch the world go by. 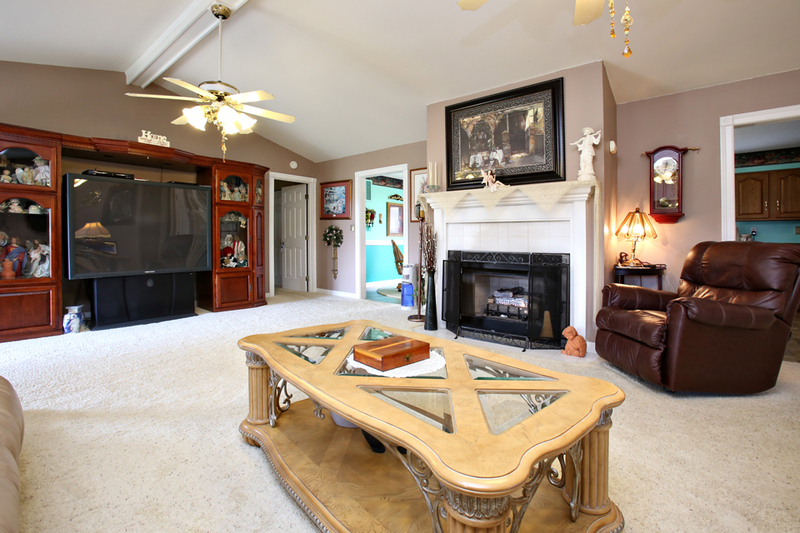 This home offers an open floor plan with a vaulted great room and fireplace as the focal point. The great room flows into the kitchen making it perfect for entertaining. This is a split ranch design with a huge master bedroom (20x20). The master bedroom has ample space for that large furniture you always wanted and gives the privacy you need as it is on the end of the house. This ranch features 2 more bedrooms and two full baths. As you exit the back door, you find yourself on a patio complete with a Koi pond with a waterfall feature. There is plenty of space in the backyard as we have 1.4 acres giving us room for plenty of outdoor activities. As you look to the rear, the yard backs up to the tree line giving us the feeling of being with nature. The sellers have really made this a pleasurable place to relax and enjoy the beautiful outdoors. The opportunities here are endless to create your own sanctuary. What makes this home even more desirable is it is in the country, yet convenient to shopping, dining and the great school system in MT Washington. If you were looking for that perfect property that has it all, this could be it! Call The Hollinden Team today to arrange for your private showing of 367 Falcon Crest Drive in Mt Washington. If this is not the home for you Tera Hollinden will find another Homes for Sale in Mt Washington. Contact Tera today for all your real estate needs at (502) 387-4167.